I go to a region which is a bit of waterside Bristol with a slice of Wapping, a seasoning of Wolverhampton and a garnish of Portsmouth. Kelly was fascinated by harbours and boats. His paintings and drawings are linear, deceptively simple and satisfying. 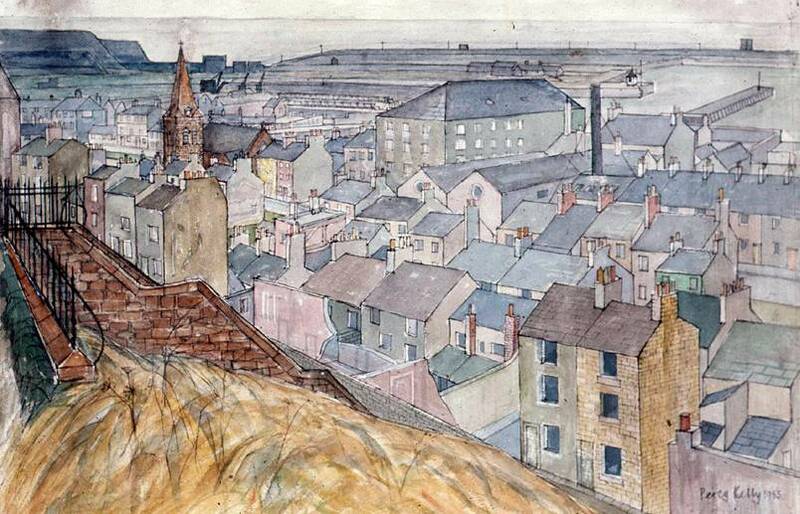 Maryport with its geometric grid pattern and harbour views appealed to his sense of balance and design. It became one of his favourite places to work. He discovered it as a boy when he cycled up the coast from his home town of Workington. 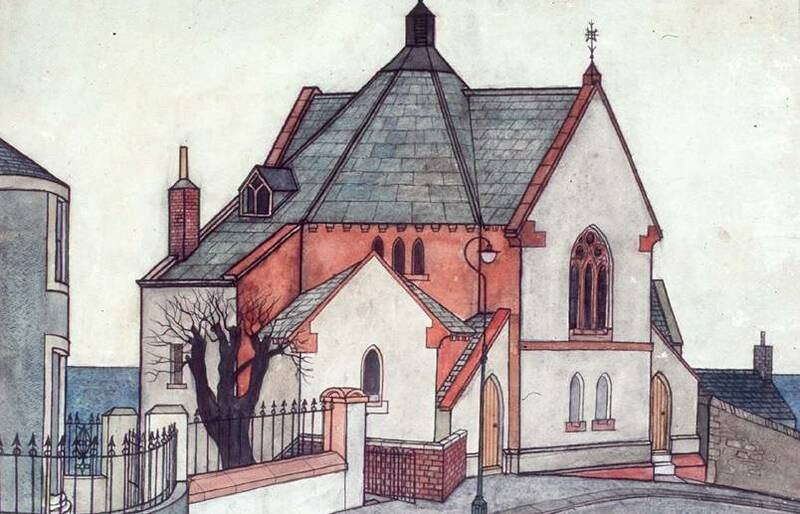 It was a place to which he constantly returned because it offered so much material on which to base his drawings. He saw the town with an artist's keen eye. He had no time for irrelevant detail. He wasn't interested in making a photographic record. He wanted to make a picture. Nothing is more boring than reality - there has to be an element of exaggeration and emphasis. 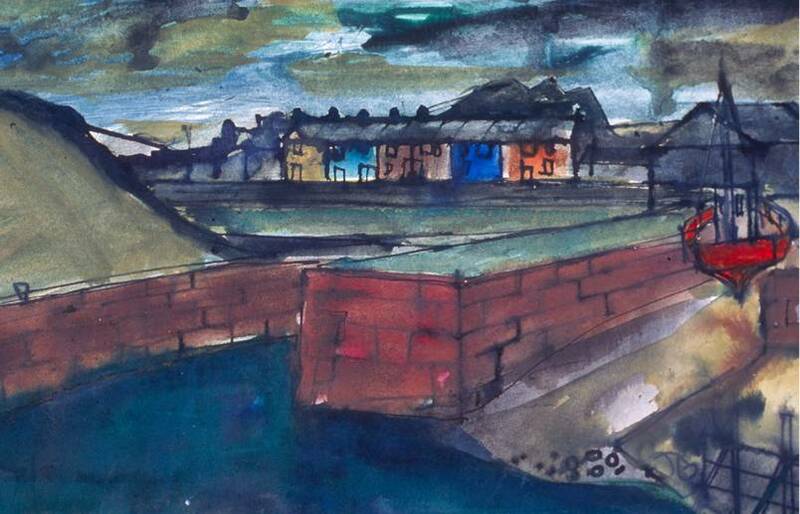 During the sixties he was a well known figure sitting on the dockside or on the high promenade with easel, paints, charcoal or sketch book. He wrote in a letter to Rosanna, a friend he met in his first term at college - that he used to bring his son Brian to the sea cadets and sit on the harbour side painting all evening until it was time to collect him. Maryport has seen many changes in its development from a fishing creek in Roman times through rapid development in the industrial revolution and decline in the depression in the twentieth century. 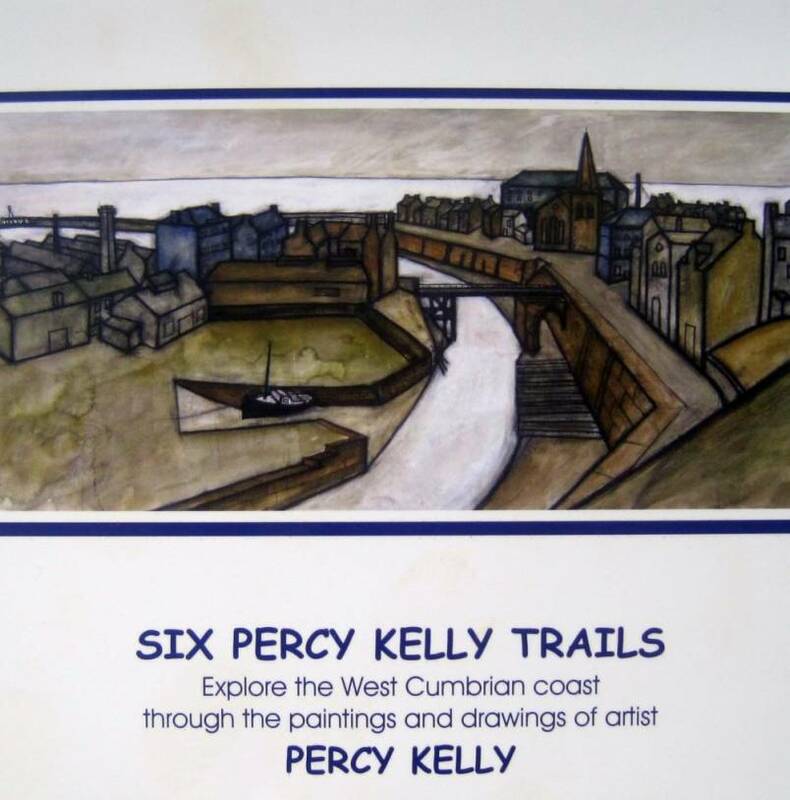 We can see and compare these changes on the walk as we see them through the eyes of Percy Kelly, one of the most talented Cumbrian artists of the Twentieth Century. 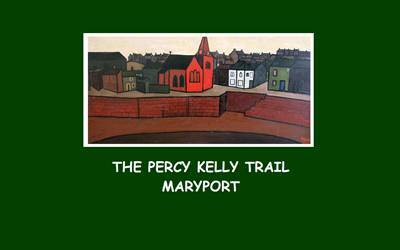 Buy the Maryport Trail online »» Available as a PDF download.